The problem with New York is how impossible it is to stay on top of the many special events that take place everyday of the year. Despite endless lists of events posted in New York magazines and weekly newspapers, one invariably will miss out on something rare and unique like The Shaw Project. Fortunately, a Postcards reader brought it to my attention, so I immediately checked the web to learn more about this once a month event that takes place in an elegant 19th century mansion the former home of Shakespearean actor Edwin Booth overlooking beautiful Gramercy Park. Fritz Weaver, Marian Seldes, Charlotte Rae, David Cote, Brian Murray and Marc Kudisch are only a few of the well-known Broadway personalities, actors and performers who bring a whole new meaning to "reading a play" at the very private Player's Club, where tickets are hard to come by if you don't call the 1st day of the month to reserve a spot. 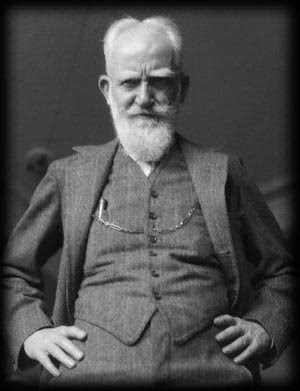 Project Shaw's creator David Staller,(taking a page from Joseph Papp's goal to present every one of Shakespeare's plays outdoors some years ago) set an ambitious goal to present all of George Bernard Shaw's more than 50 plays to provide a venue for many works that have never been performed on the New York stage. Don't make my mistake. I missed a September 22nd reading of "Caesar and Cleopatra" because I waited until the week before to order a ticket. Tickets are available the 1st day of the month at 212-352-3101 for $20! They sell out quickly within a day or two, so mark your calendar now for upcoming readings. October 20, "The Shewing Up of Blanco Posnet," November 17, "Jitta's Atonement," and December 22, "St. Joan." Address to Remember: The Player's Club, 16 Gramercy Park South, New York, NY, 10003, 212-475-6116, http://www.theplayersnyc.org/. Directions: From Times Square MTA N, R, or W to 23rd St, walk south to 19th St. then east to Gramercy Park. I perused the menu and read "uovo sodo," and wondered could it be? The perfect organic soft boiled egg surrounded by geometically arranged triangles of toast arrived and suddenly I was transformed back to my childhood vacations at my Nona's kitchen table in Corleone, Sicily. Yes, home of the "Godfather." Family legend has it that my great-grandfather was the Godfather, but that story is for another time. My sisters and I would joke in our very deficient Italian with our grandmother, calling her eggs, Bono Ouvo (good egg) and greedily sopping up the rich golden orange yoke with thick slices of heavenly fresh baked bread. It's been almost three decades since I've experienced the joy of eating such a simple egg meal, but "Sant Ambroeus" delivered; they also offer other incredible edibles (see below) to make it the perfect Sunday brunch after a morning walk around the Village. I recommend a table outside - it will feel like you're in Rome, in Trastavere at a small local cafe off the main streets. Crostino Milanese, scrambled eggs served with vine ripe tomatoes and slivers of parmesan, the salad is perfectly dressed with extra virgin olive oil and lemon. I paninetti all'olio con mortadella, fresh baked rolls drizzled with olive oil, thin slices of cured sausage and provolone cheese. Jealous? Take a bite! Il marinaio, crabmeat, shrimp and avocado - heavenly! Le foccaccine con parma prosciuito e mozzarella, a flaky foccaccia stuffed with thin slices of ham and a chuck of mozzarella. This was a favorite! Wish I could eat it off the screen! Make sure to save room for dessert, this ricotta cheese cake is a MUST! Directions: From Times Square MTA 1 to Christopher Street, walk north on West 4th Street to Restaurant.